In this free guide DIY Moto Fix teamed up with Jarrett King of Two Wheel Endeavours to bring you the ultimate information on getting your tires ready for the ice. In the first part of this guide we cover the basics of ice tires and screw types. ​From there we go over in detail how to mount heavy duty ice tires, complete with pictures and industry tips. In the final part we cover studding techniques, including a to-scale PDF of front and rear tire screw angle that you can print out and use. 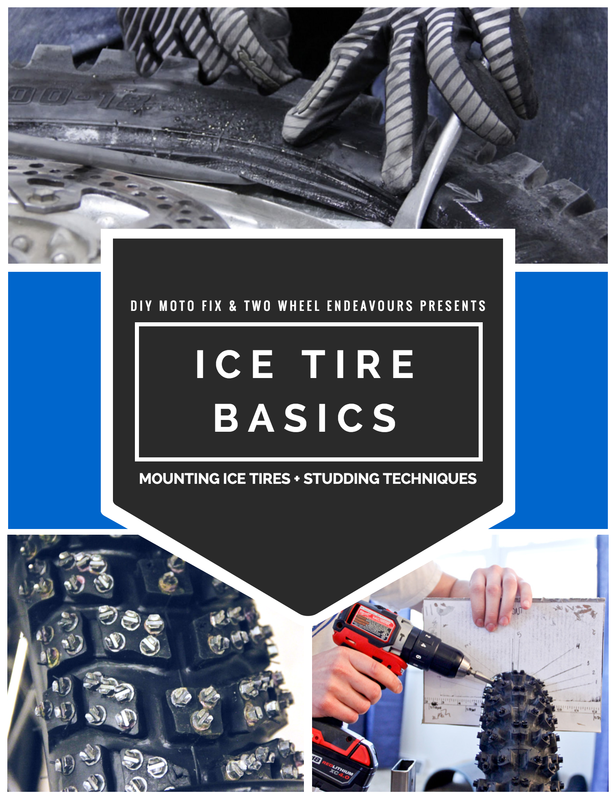 This guide was created to bring you the best knowledge there is when it comes to DIY ice tire studding. Click the button below to receive the free Ice Tire Basics Guide: Mounting Ice Tires + Studding Techniques.